I'm sure by now that most of you have seen or heard about the TV show "Stranger Things" on Netflix. If you haven't seen it, definitely check it out. It totally rips off Close Encounters, ET, Poltergeist, Stand By Me, Firestarter, etc. but it doesn't matter because it's ripping them off in a loving way. The same is true for the soundtrack. 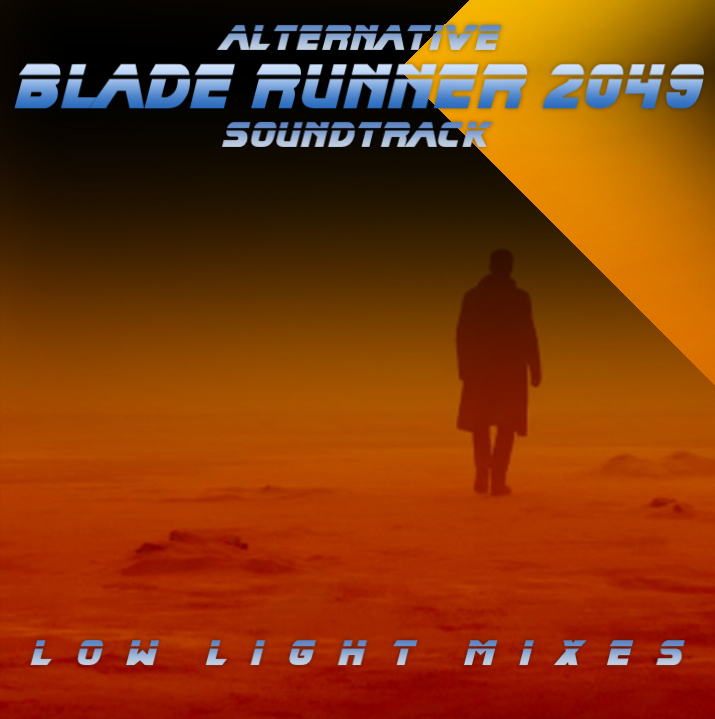 It's got a great analog synth sound reminiscent of Tangerine Dream and John Carpenter soundtracks. 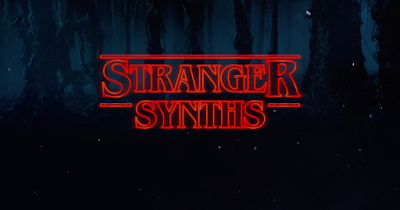 The minute I heard the Stranger Things theme I knew I had to make a mix featuring the new retro sound. Even though the music in this mix sounds like it's from the 70s or 80s all of it is new, with most cuts being from 2015 &amp; 2016. 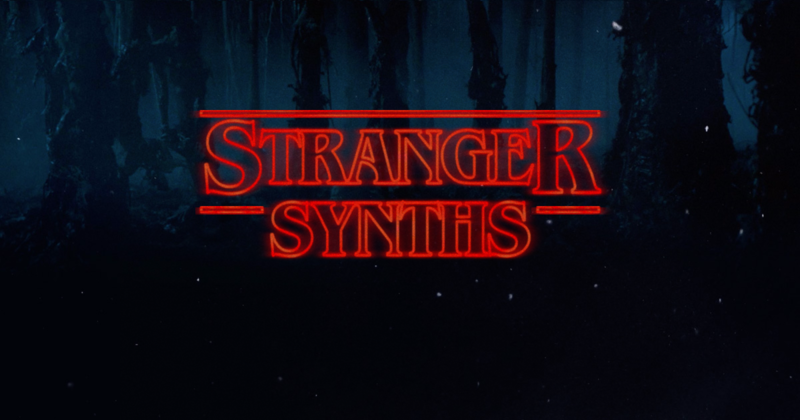 In addition to the Stranger Things theme I of course had to include the Tangerine Dream remix of it. Thanks to Mike of Ambient Music Guide for the heads up on the soundtrack from Halt &amp; Catch Fire by Paul Haslinger. It's fantastic! Another soundtrack that made it's way into the mix is from Mac Quayle music for Mr. Robot - more analog loveliness. I hope everyone enjoys the mix, I know had a ball putting it together. As with so many mixes this one started because of a great tune. In this mix that great tune is Existence in the Unfurling by Kaitlyn Aurelia Smith from her spectacular new album Ears. The track is a wonderful mixture of analog electronics, fluttering woodwinds and ethereal vocals. It's my favorite song of the year so far and I just had to share it in a mix. 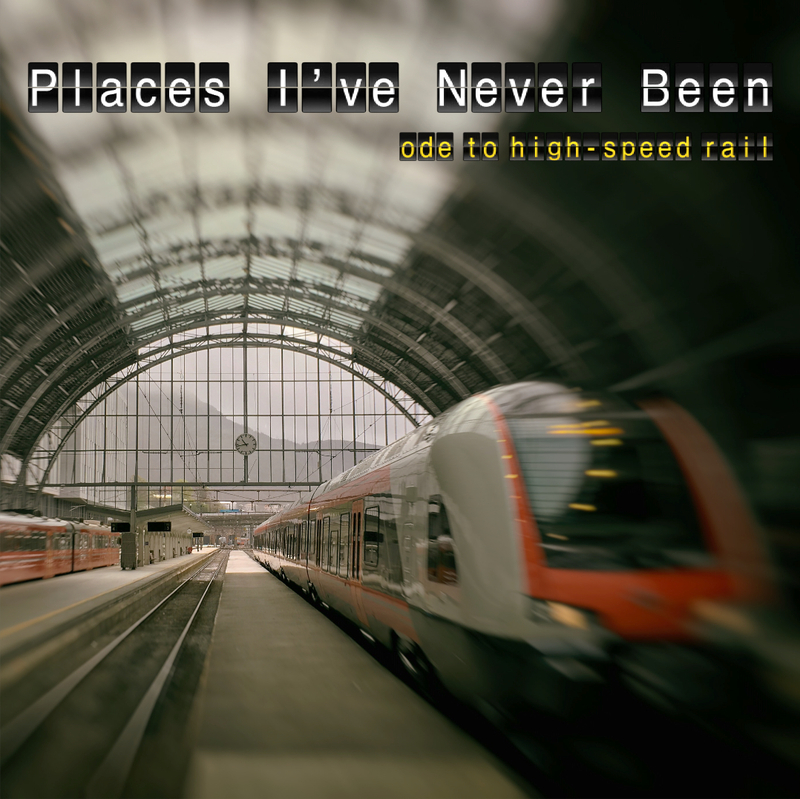 The other tracks are a combination of electronic tunes & some post-rock. All the music is new with the exception of the 3rd track. The good folks over at Nocturne Records asked me to do a mix for their podcast. They put out some great music so how could I resist! 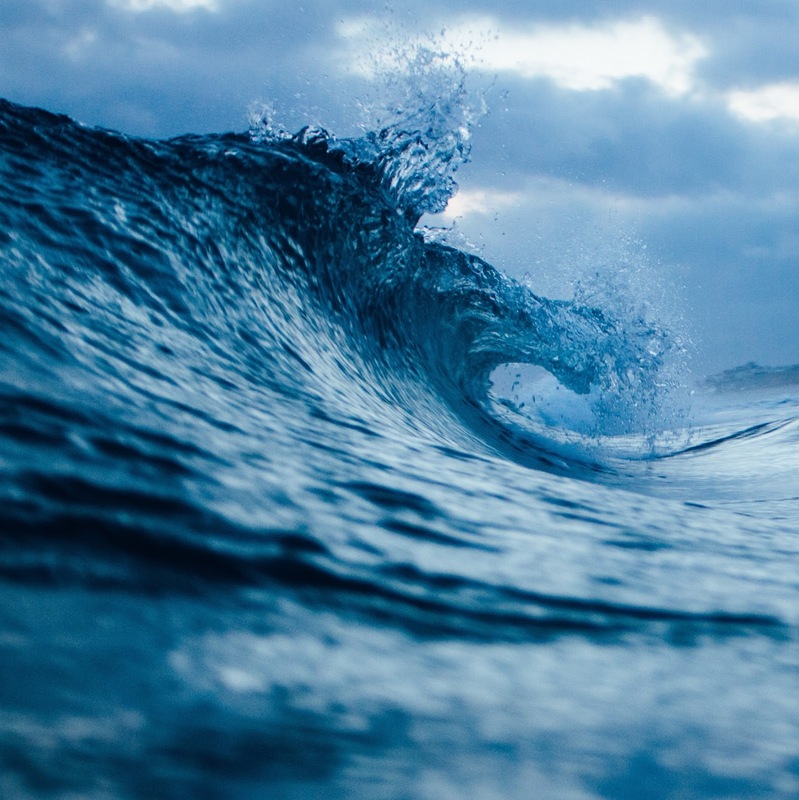 Most of the time with my mixes I'll stumble upon one or two tunes that spark an idea. In this case I rediscovered an old electronic album that I had in college. It's a compilation called Music from the 21st Century. 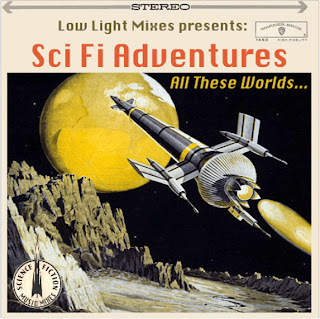 That album got me thinking about science fiction music, whether it's music used in sci-fi or just tunes that sound like they should be in a sci-fi film. 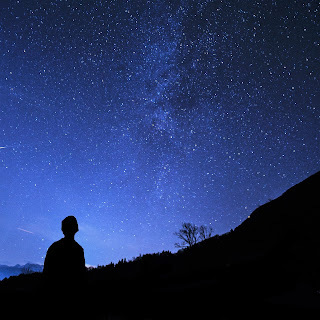 This mix uses two tracks from the 21st Century album along with several other old electronic cuts. A couple of those older cuts are from another college favorite, Synergy - Cords. I loved that album back then & still go to it occasionally for a nostalgia hit. The whole album definitely has a sci fi movie soundtrack sort of feel to it. The mix isn't totally old electronics, there is also some newer material mixed in. Back in November I did a mix for the launch of Curiosity, NASA's newest Mars rover. Now 8 months later, Curiosity has arrived at Mars. 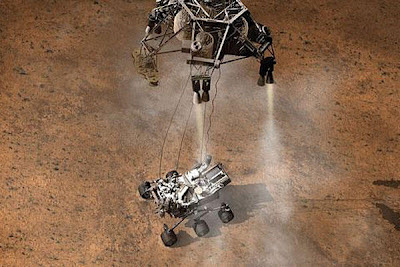 So this mix is music for landing on Mars, in honor of Curiosity's EDL or entry, descent and landing. As I write this, the landing has not taken place yet. But I wanted to get the mix uploaded on the day of the landing. I'll update the post depending on the result of the EDL. I started off this mix just picking electronic tunes I liked for this theme then quickly realized that many of the titles fit perfectly. 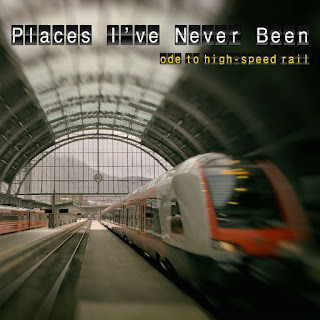 Track titles such as "We Travel", "Bold Advances" "Flying (in crimson skies)" and "Arrival". So I looked for a few more with appropriate names, kept a few that had titles that didn't matter and the mix was launched.